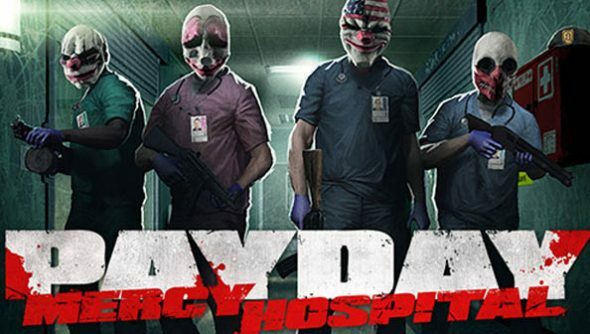 While not the full Left 4 Dead prequel it first seemed, Payday: No Mercy remains a very attractive proposition indeed: an opportunity to return to Mercy Hospital, the scene of a thousand murders of morgue-escapees. And now it’s available to download, for free. This is a Mercy Hospital minus the zombies, plus “everyone’s favourite robbers out for blood”, say developers Overkill. The pleasingly twisted setup sees Payday’s cast of crims out to find a patient, “carrying some kind of rare virus that has potential buyers on the outside”. “Don’t worry,” say Overkill. “Spilling some of the blood can’t be the end of the world…” Nope, no prequels here. No sir.